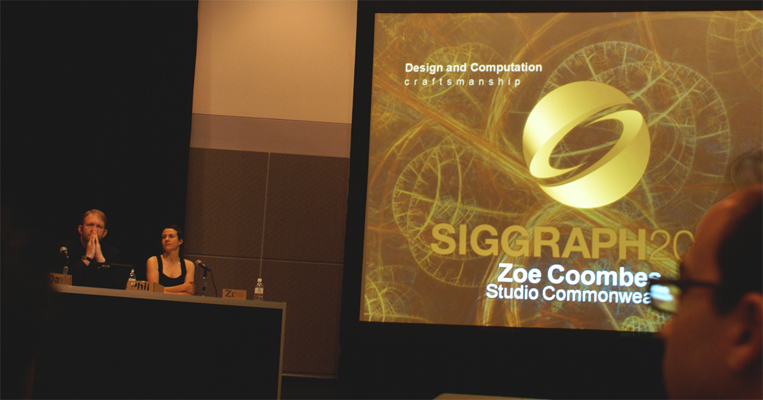 Commonwealth was invited to present at this year's SIGGRAPH, an annual conference focused on developments in computing. One thing we love about SIGGRAPH is that it is owned and produced by The Association for Computing Machinery, a group founded in 1947 as the world's first scientific and educational computing society. Basically, this means they've been getting nerds to share ideas for 61 years! 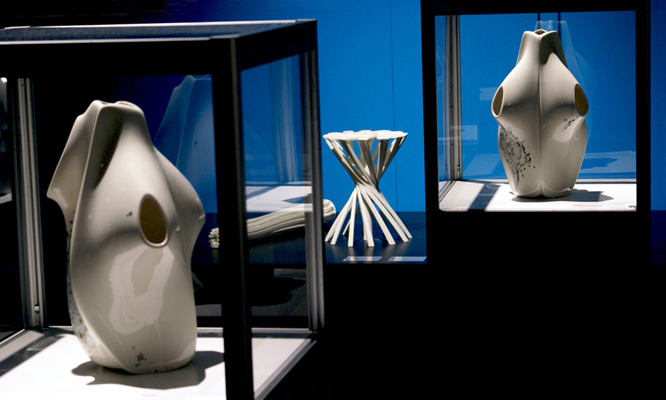 We were invited to display the Tropism Vases as part of the Design and Computation Exhibition, and later to speak on a panel focused on 'Craftsmanship in a Digital Age'. We chose to make a point that for Commonwealth, much richness can be gained via processes of translation out of and away from the digital- whether that is through a material translation, or a contextual one. Beside me in the picture of the panel discussion is Phil Bernstein, Vice President of Autodesk Inc., the maker of Maya. Phil had some pretty interesting things to say about the sociological systems that drive the development of their software. Thank you to Lira Nikolovska for the gracious invitation.